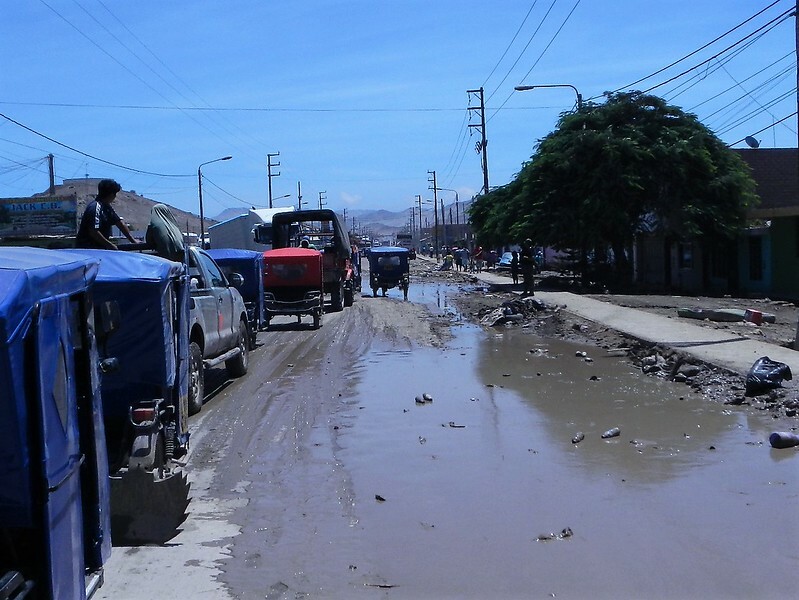 I don’t have first had experience with some of the big disasters in the US like Katrina in New Orleans but now we are sure in the middle of this one in Peru and it’s a mess. 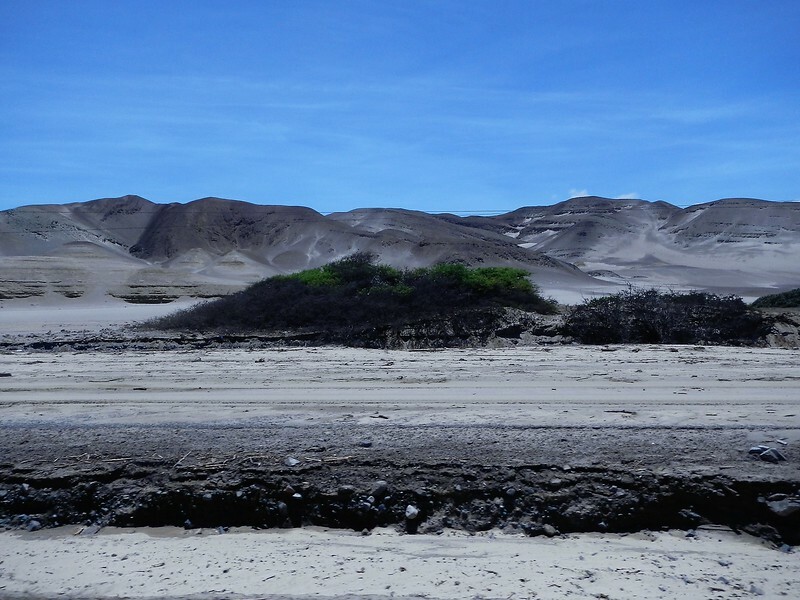 A large part of the Peruvian coast is severely impacted by the rain and flooding. It’s not just flooding, it’s ugly stinky mud flows through these cities. The blue line below is the 200 mile trek we managed to make yesterday. For scale that is only a small portion of the disaster zone that basically extends from the capital of Lima to the Ecuador border. 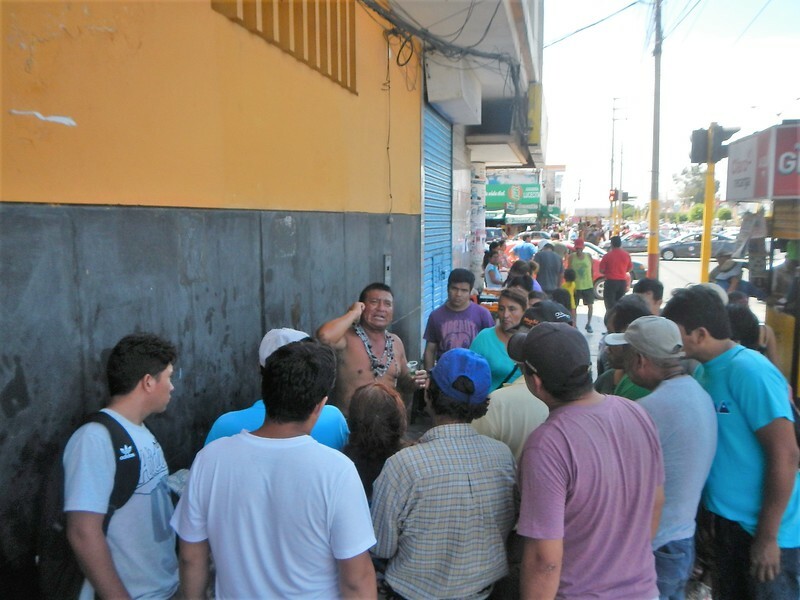 As far as I can tell from the news large parts of Lima are still without water… big problema. Oh, it’s hot here… in the 90’s and humid. Not the best time to be without water. 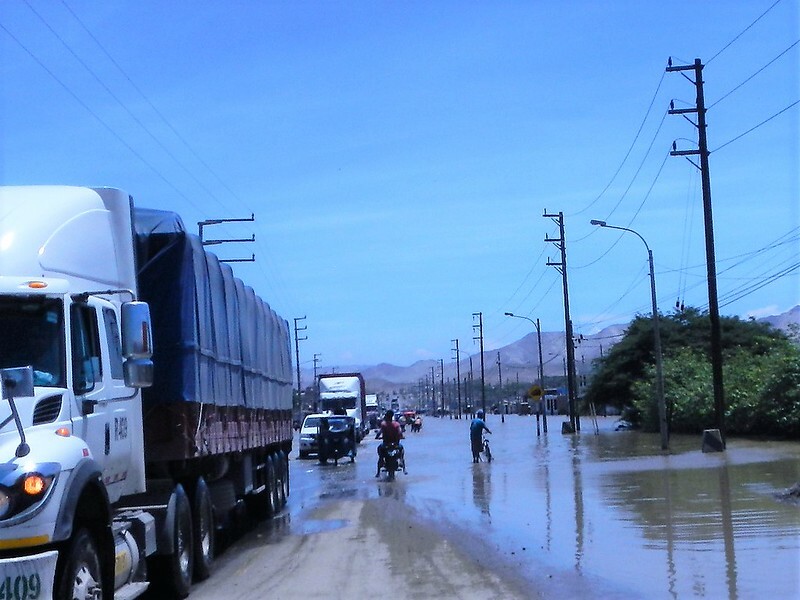 We made it to Chimbote by passing long lines of trucks on muddy and underwater shoulders, dodging other traffic on bridges with one lane washed away, jumping the median on the four-lane sections of highway to get around sections covered with mud and just some good luck. I managed a few pictures but was mostly just hanging on! The towns we rode through were deep in mud. 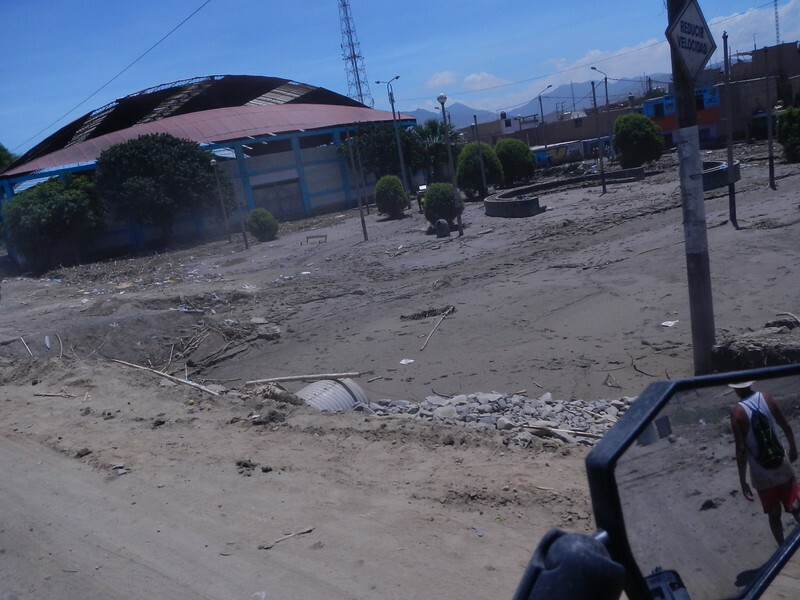 This picture is looking down the main street of Huarmey, the city where we were turned around a couple of days earlier. Through multiple small towns this was a common scene. We needed to get through Casma which was just about as bad. 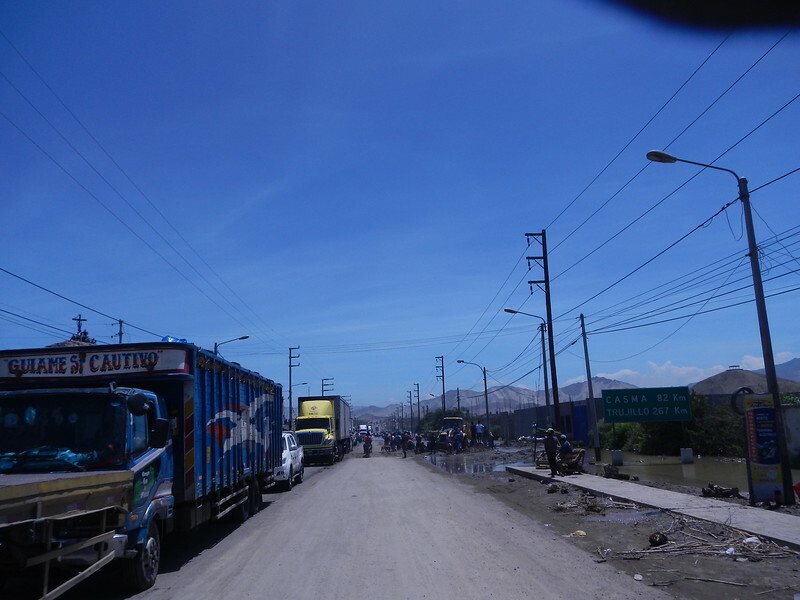 There were long lines of trucks, the lifeline of Peru, transporting goods from north to south. We were really glad we could pass on the right… but carefully, is there really a road under that water? Some water crossings went for a long way. Some sections away from the cities were nicely paved 4 lane highway. Until suddenly, around any corner, it wasn’t. Here was one of many times we jumped the median and rode on the “wrong” side of the highway. The picture is of both southbound lanes. You can see the northbound lane ending on the right. We were riding northbound on the southbound lanes and was hoping the truckers saw us coming! 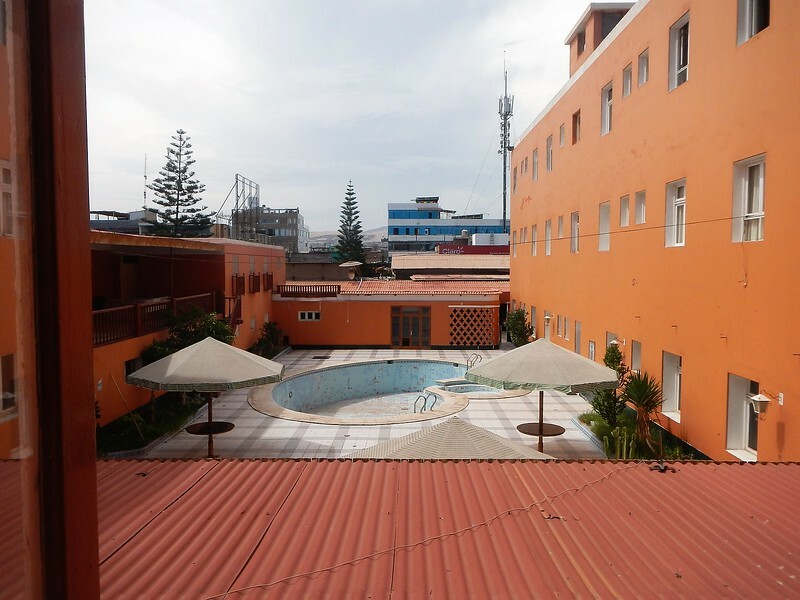 We arrived relatively early in Chimbote and checked into the Gran Chimu Hotel along the water front. We stayed at this same place four years ago with Dave, Keith, Jim and Michael. This picture is for old times sake and to report absolutely nothing has changed with the place. Oh… and no air conditioner. I have to show a couple of other pictures… we went for a walk around the city and saw this guy with a crowd around him. He was going on very adamantly about something so we stopped to check it out. 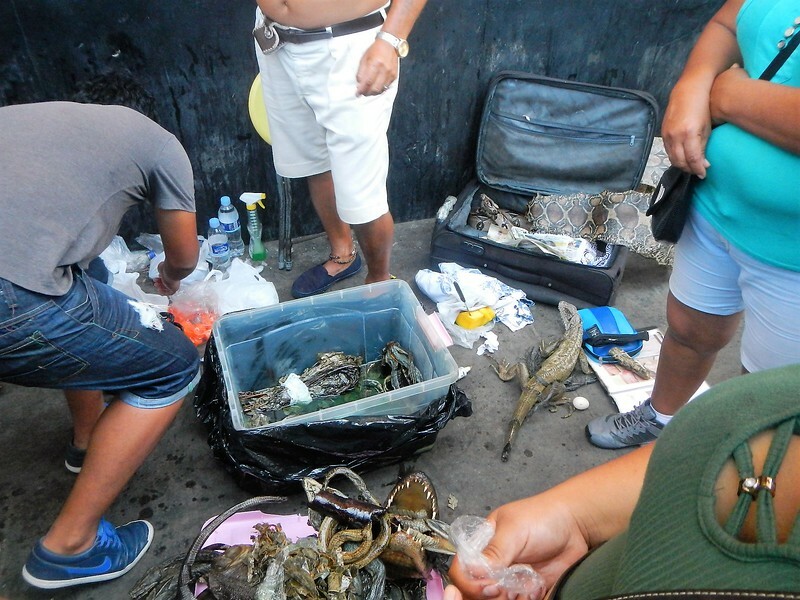 On the ground was a pile of dead snakes, some alive ones and a giant iguana. 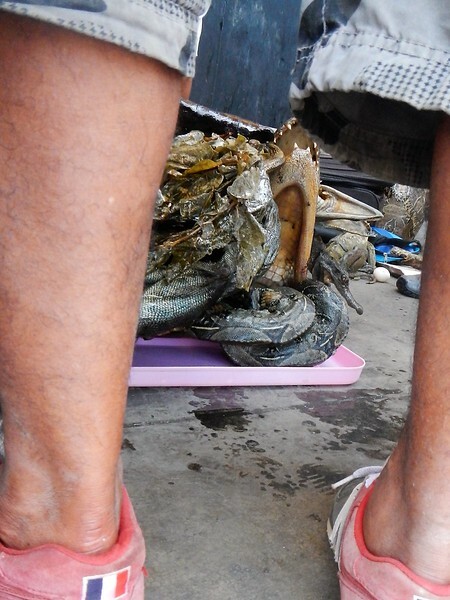 In a tupperware bucket was more… mostly alive swimming in some kind of green slime. Nicholas, the guy from Colombia we rode with yesterday did a scouting mission this morning and only 10Km north the road is closed and police are not letting anyone through. They said it might be open by tonight? 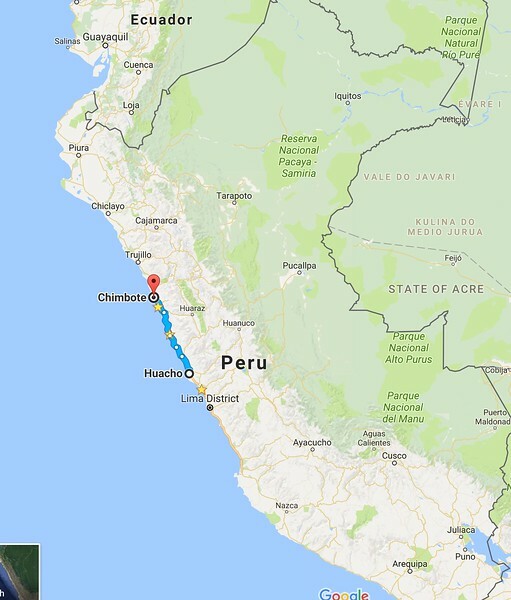 The president of Peru was on TV two days ago stating that opening the Panamerican Highway was a priority and it would be open in 48 hours. I guess we missed that deadline. In short we are doing ok, and managing with social media and contacts we’ve made here. 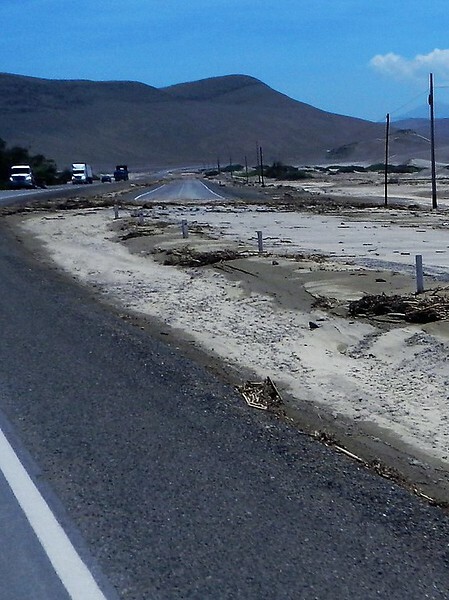 The situation is dynamic and roads that are open now might be washed out tomorrow. We could end up somewhere where we can’t get a hotel and wait on the side of the road. Crossing flooded roads isn’t always the most safe but there isn’t really much choice, we’re pretty careful. I’ll post on Facebook if I can tomorrow and let you know where we end up. 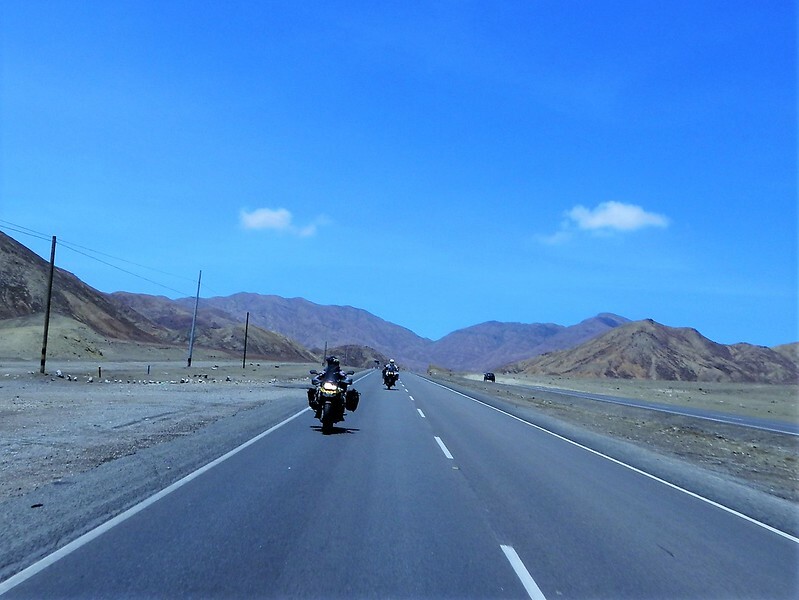 This entry was posted in 2017 Motoraid III, Motorcycle Adventure by donnh. Bookmark the permalink. Can you guys ever get dry. 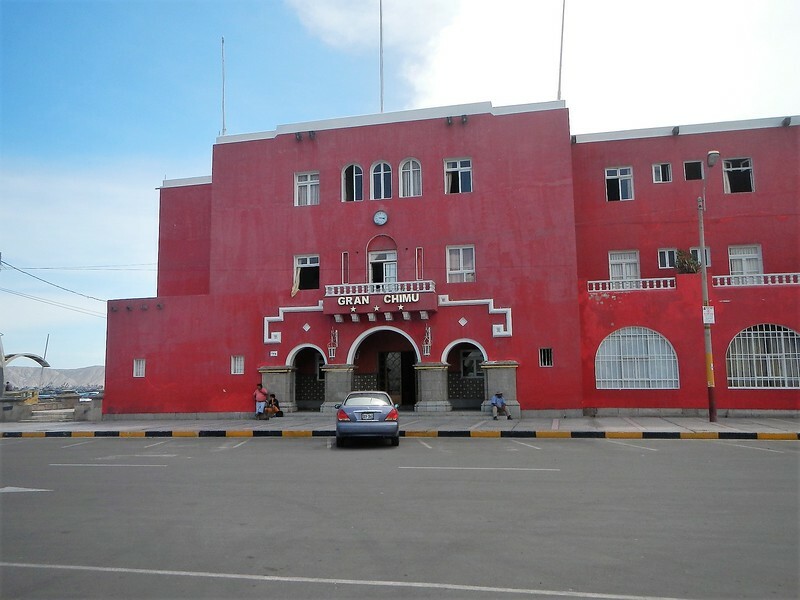 Is the same grumpy old waiter serving breakfast at the Gran Chimu? This is where they would not sell me beer across the way in the big department store! You guys should have tried the snake sauce, maybe it’s a love potion. Just the thing to have when you are stranded in a dumpy old hotel! I looked in my diary for when I was there the first time, first night I noted that it looked like hookers were coming in to work the hotel, turned out they were just girls REALLY dressed for a wedding that went on all night. Remember the crashed and burned out bus parked in front of the hotel that the guys were parting out in place? Great spot! Be safe me amigos. Sad. 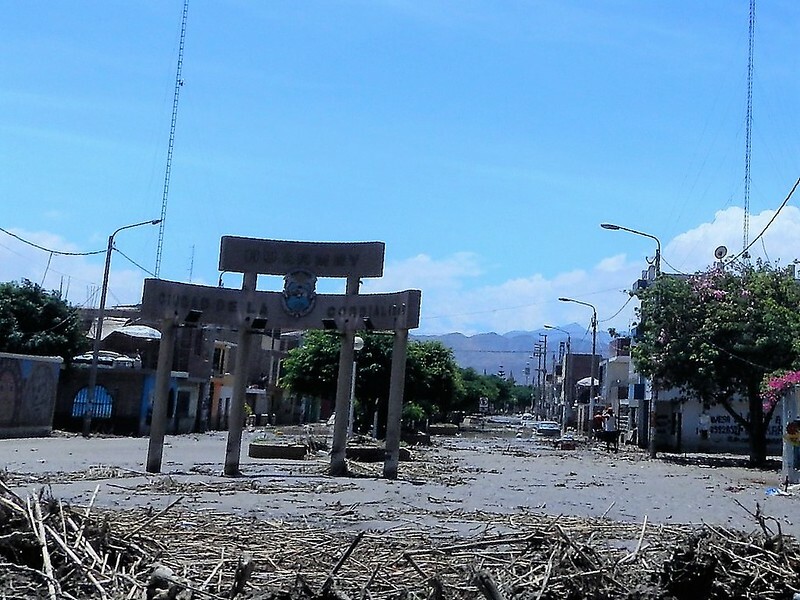 I feel for the Peruvian people – devastating losses. Happy to hear you guys are safe. I know I don’t have to mention this but keep thinking about security. Things get crazy during natural disasters and people don’t always act properly. Watch your six. Boy, this is one heck of an adventure ride!! Been thinking about you guys and wondering…Glad to hear that you are staying safe and sound. 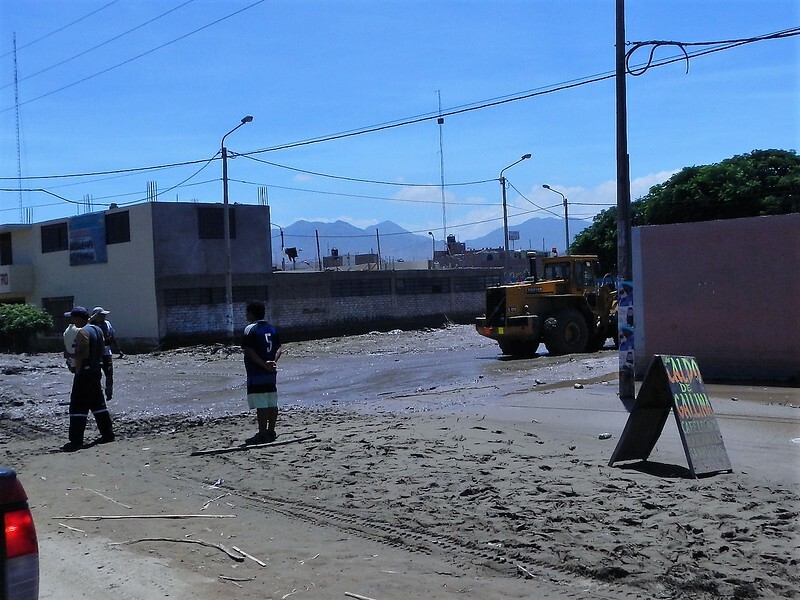 I don’t watch tv news but there hasn’t been anything about the Peru flooding since it first happened on any of the online news sources I do check. Thanks for the insight into what’s really happening down there. Arrive safely. If every ride was perfect we wouldn’t have any stories to tell. You guys will have plenty of stories from this trip. Ride fast and take chances. Wow ! I cannot believe what you have experienced ! I feel for the locals that seem to have a slow moving government in such a dire situation. I can see how that would cause so much frustration and anger . we watch BBC for news and I can’t say we’ve seen anything about the flooding …but we haven’t watched lately. Really hoping you continue to maneuver through, keep going and get out of there ….how crazy !! You’ll have stories to last you the rest of your lives! Your grand kids will keep asking for the ones about the flooding in Peru ! I have only seen one segment on the news about the flooding in Peru. Brief and lacking details. Not really conveying the devastation. Stay safe. I feel dreadful for the people particularly those trying to cope without water. You two never give up!